One Prudential Plaza is located at 130 E. Randolph St. in Chicago and was completed in 1955. This building was designed by Naess & Murphy and stands 601 feet tall to the roof and 912' to the spire with 41 floors. This pewter replica stands just over 4-7/16 inches tall to the roof and is finished in antique pewter. This model's scale is 1 inch = 150 feet. Absolutely beautiful! Can't stop looking at it. 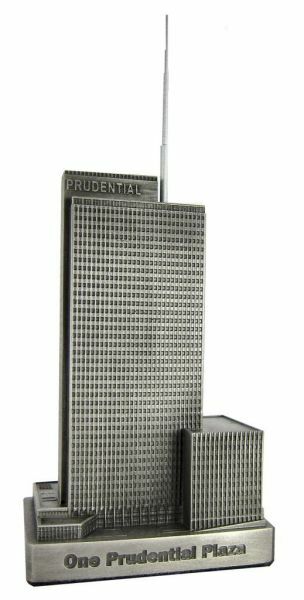 After working in the Prudential for many years, I can say that you have captured this mid-century classic perfectly!